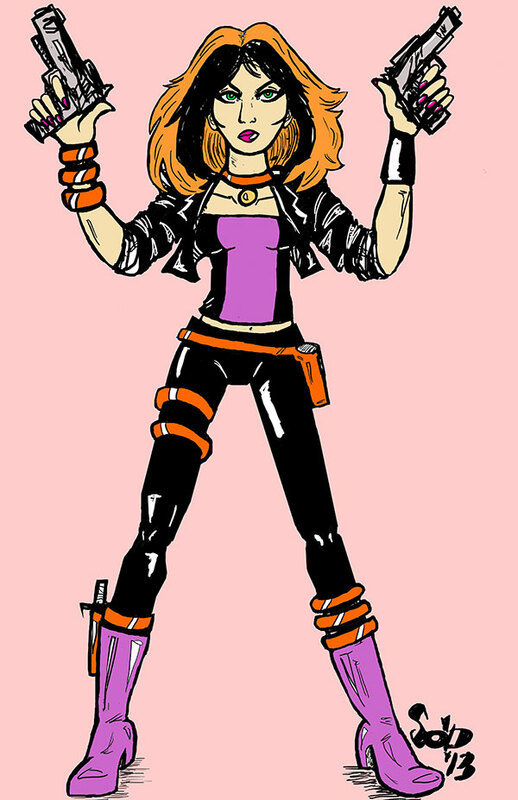 We’re posting the lovely pinup of Donna Rouge this week because it’s cool. Good enough reason for me. Also, I’ll be at Anime Weekend Atlanta this weekend, Sept 27-29, 2013, at table F-10 in the Artist Alley. I have copies of all missions printed so far (1-7), but very few of the early ones. So if you want to get #1, #2, or #3 before I run out then you’d better hurry!